The Dyson AM10 Humidifier is the hygienic humidifier with even room coverage. 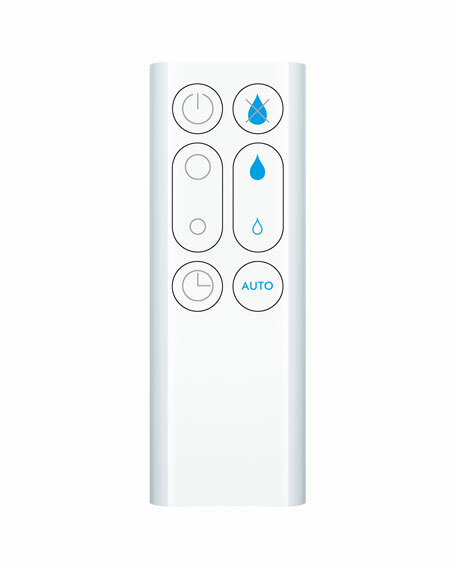 Hygienic, even humidification year-round with high-velocity air to cool you in summer. Through Ultraviolet Cleanse technology, Dyson humidifier kills 99.9% of bacteria before hygienic mist and hydrated air is projected into the room. 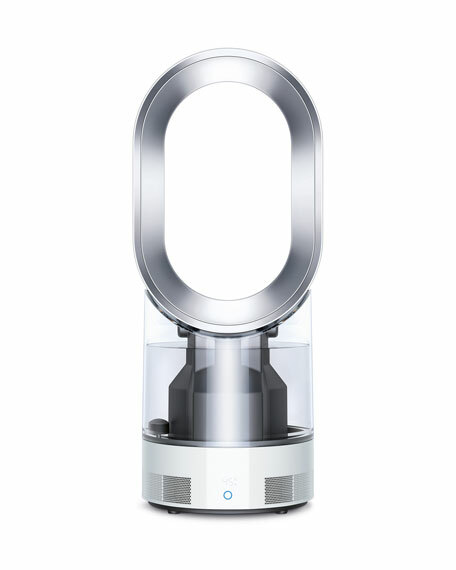 The Dyson AM10 Humidifier is dermatologically accredited and holds the Skin Health Alliance certification. Certified Asthma and Allergy Friendly by the Asthma and Allergy Foundation of America and awarded the Parent Tested, Parent Approved seal of approval families trust. 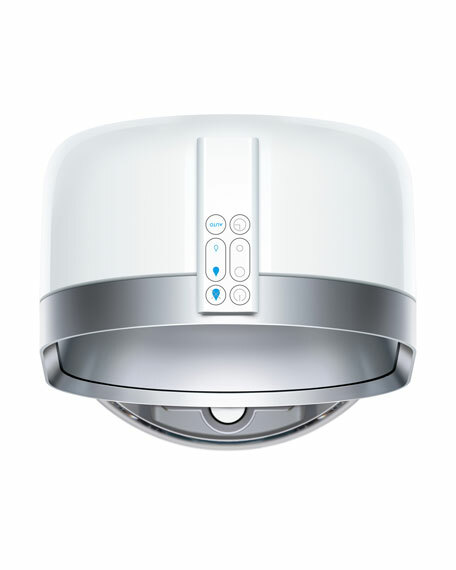 Generates long-range mist projection to distribute hydrated, hygienic air evenly throughout the room. The Dyson humidifier uses Intelligent Climate Control to measure both the temperature and the moisture in the air to create a comfortable environment with no over-humidification. Wipe over air loop amplifier, paying close attention to the air gaps. Wipe with a lint-free microfiber cloth. Empty the water. Rinse and wipe over all surfaces. Repeat if necessary. Empty the trough and wipe over all surfaces. Small spillages may occur. Do not rinse under the top or put in the dishwasher/ While not dangerous, care should be taken to avoid water entering the inlets. Wipe the exterior with a link free microfiber cloth.